Our compostable 5mm diameter straws are the ideal eco-friendly accompaniment for any drink. Perfect for smoothie cups, shakes and cocktails. White with a green stripe. Hygienically wrapped. 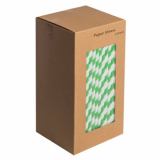 Clear straw with a green stripe. 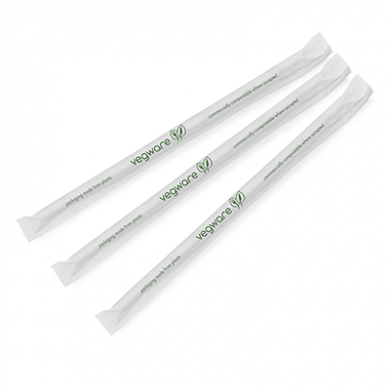 Compostable under BPI and OK compost. 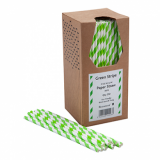 This straw is 209mm long with a 5mm diameter.